As more space in the trendy Marais neighborhood gives way to cool shops and trendy boutiques, one bar stands its ground in nominal and actual opposition to a total takeover by the shop-til-you-drop crowd: La Resistance. La Resistance is a small, chic and relaxed little space with something for everyone. 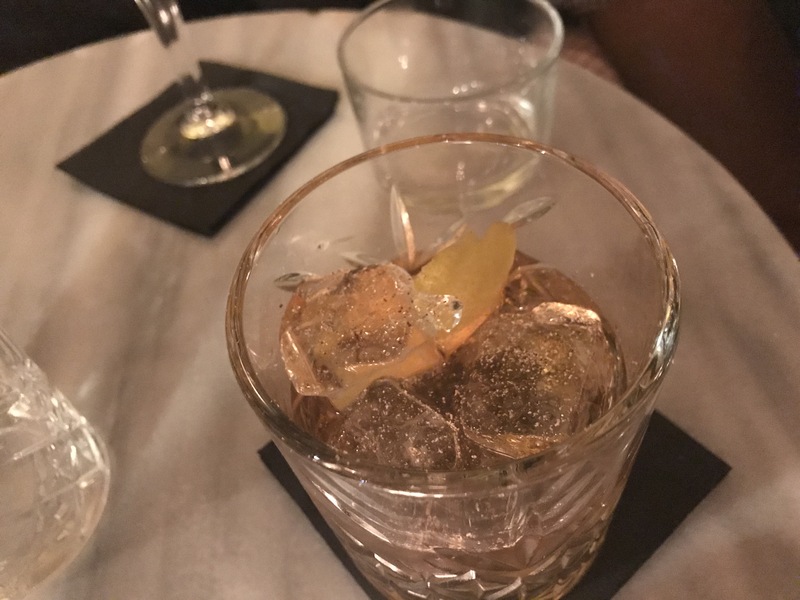 As one of the few Paris cocktail bars that’s (refreshingly!) open from 5pm, it’s idea for an early afterwork. As the night wears on, it starts to buzz with the chic Parisian barflies. The drinks menu offers a small, solid selection. While they built a bit of a rep based on blazing drinks and updated shooters, their house creations and solid classics go down nicely. 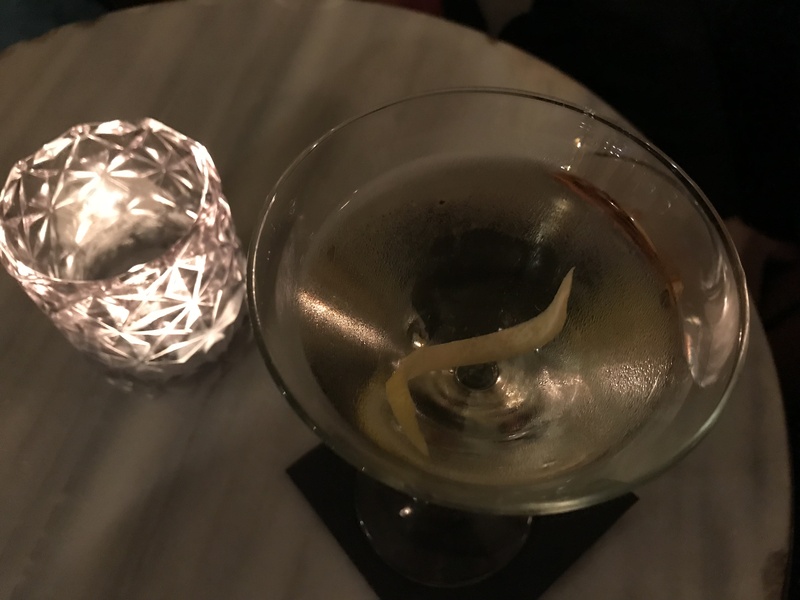 They know their way around a martini and their Old Fashioned riff is just right. Prices range from 13 to 16 Euros, which is a little higher than the current cocktail average but maybe not so surprising given the area. Also on offer: bar snacks like croque monsieur – with a truffle touch. Oh oh la la! The roaring twenties may be the inspiration for the decoration, but the large and lovely floor to ceiling street front windows are way more open and welcoming than any hidden speakeasy front. The stone vaulted basement lounge is cozy and can be privatized. And, they sometimes pull in live music. Let’s hope they continue to resist with their little refuge of sips and snacks among the shopping.